And then he compares this with our NTUC and decides that it does not sit well with Cambridge Online Dictionary’s definition of a trade union. We’re not belittling Cambridge’s Online Dictionary, but it’s not adequate to just read a paragraph of that and decide 50+ years work of the NTUC has gone to waste. Why so? Does the Cabinet act in opposition to the people? From day one, this Government has been paranoid about finding jobs for it’s people. Today we have achieved slightly over 97% employment. In fact, with the NTUC Sec-Gen in Cabinet, wouldn’t you agree it would shorten the time it takes for pro-worker policies to be pushed through? This just shows that unions have become more active and are knowing the right action to take. Our society has also become more vocal, it would be natural that these numbers increase. 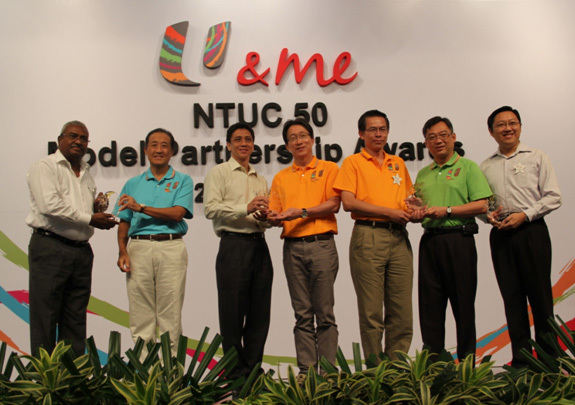 – He says that members of NTUC are also from Government organisations. Jagwinder argues that a union should be run by employees. We do not agree. If you want to fight for things like rights, wage increase etc – won’t you agree that it would be a better fight with a powerful weapon on your side? – Mr. Singh also thinks that riots and protests are the only means of change. We believe in peace and productivity. We do not believe that crippling protests are the only means of making a message heard. Perhaps if you do not have government people on your side, and if your Secretary General does not have a voice in Cabinet, then perhaps a good old riot and protest might have been necessary. In Singapore’s context, this had not been necessary for 50+ years, we hope this does not have to be necessary in the future. Yet another article that can hardly claim to be objective. The history cited was read from the author’s perspective. It is naive to lay blame for the demise of the BS and SATU solely on operation cold store. BS and SATU focused on causing industrial disruption to force the economy to go into turmoil and for the British to be forced out. Not for the vibrant and progessive Singapore we have come to know today. The author also failed to lay a better understanding of why the Sec-Gen of the Labour Movement was inducted into the cabinet in the 60s. By doing so, the govt gave workers’ voices a direct route to policy makers without the need to go through painful and disruptive demonstrations and economic fallouts. Twisting this into the govt using this to control the unions is disingenious and the author has disappointingly not added credence to his argument. It would be better if the author attempted to paint his vision to readers about howthe trade unions in Singapore, together with the govt and enterprises should co-exist to make Singapore a better place.